Here at Richmond, our academic tenacity tends to break records and set standards for other institutions. So why not expect the same from the rest of our campus community? As part of our continued commitment to sustainability, Richmond will be the first higher education institution in the Southeast to match 100 percent of its electricity needs with a single solar power source. For every watt of electricity UR uses, a new off-site Spider Solar project will replenish the electric grid with the same amount of renewable energy. 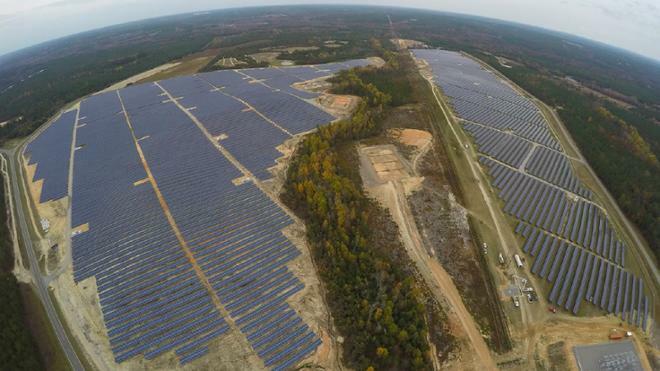 Expected to fully launch in 2020, the 130-acre, 47,000-panel array will reduce our greenhouse gas emissions by nearly 60 percent while also increasing Virginia’s solar capacity. We are proud to be a leader for not only higher education institutions, but other businesses as well!